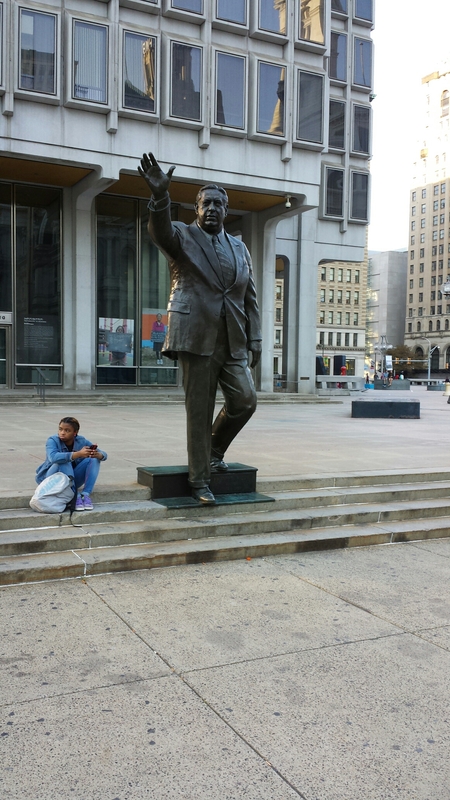 Frank Rizzo, Philly legend. 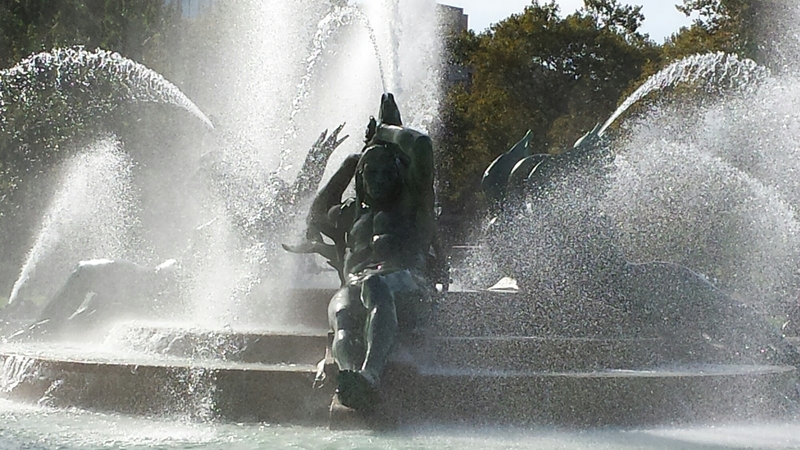 And a girl. 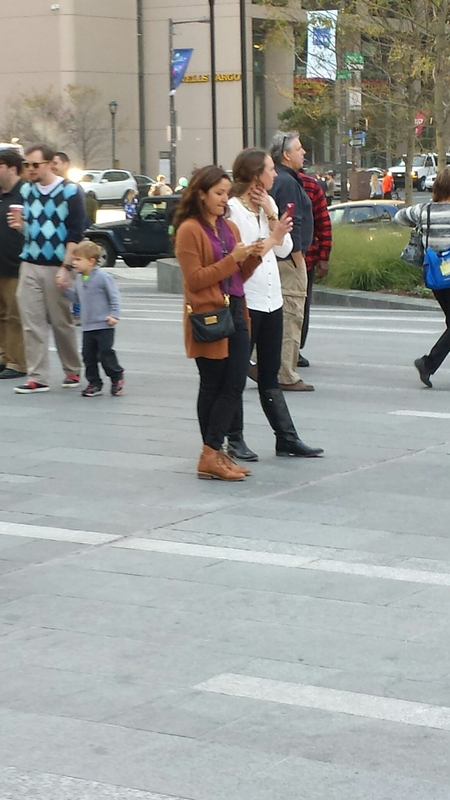 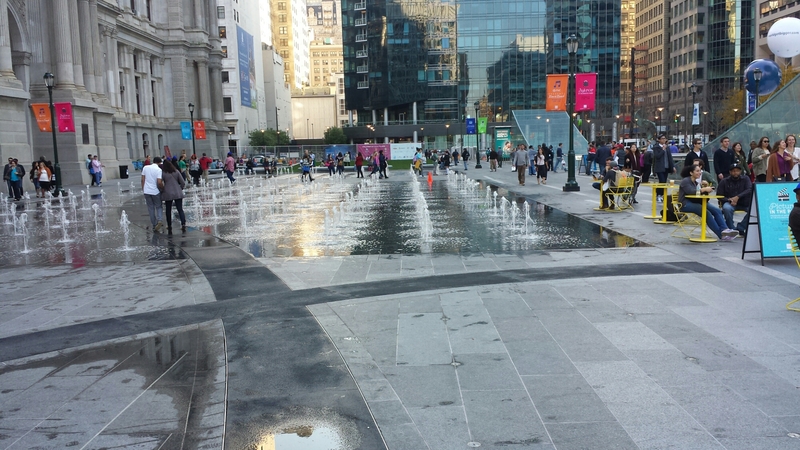 Tourists taking video of the festival at Dilworth Park. 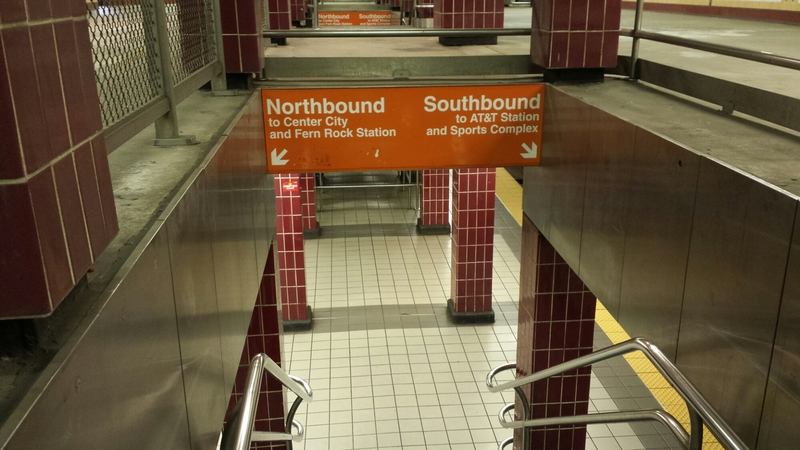 Subway entrance. 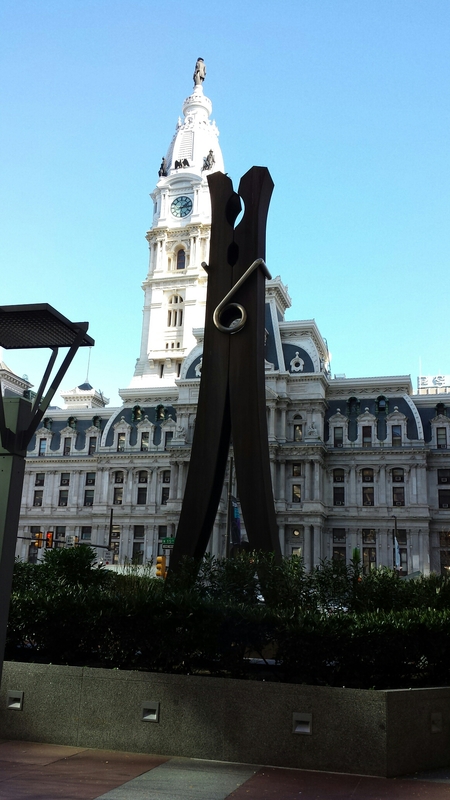 We were heading North. 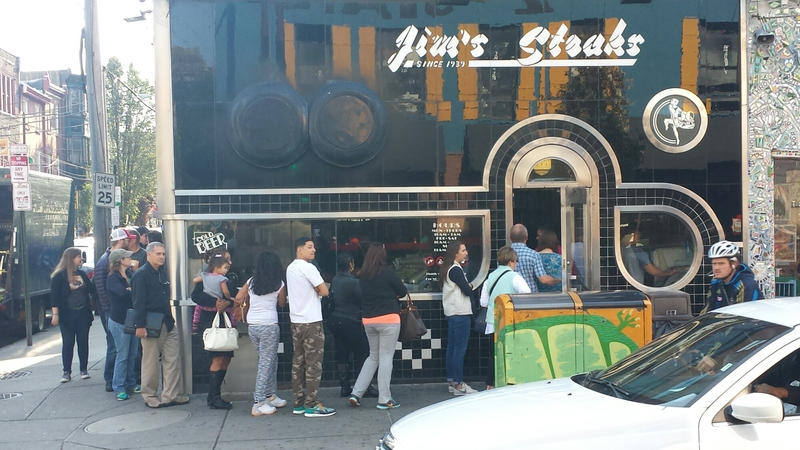 The neverending line at Jim’s Steaks on South Street. 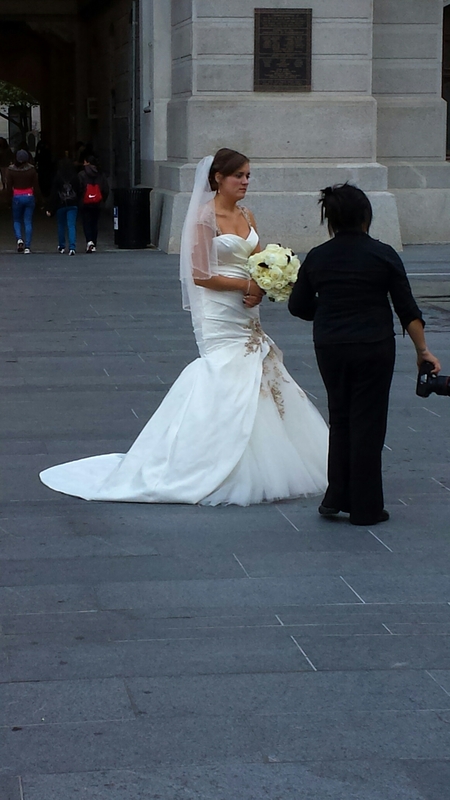 There’s always a bride at City Hall. 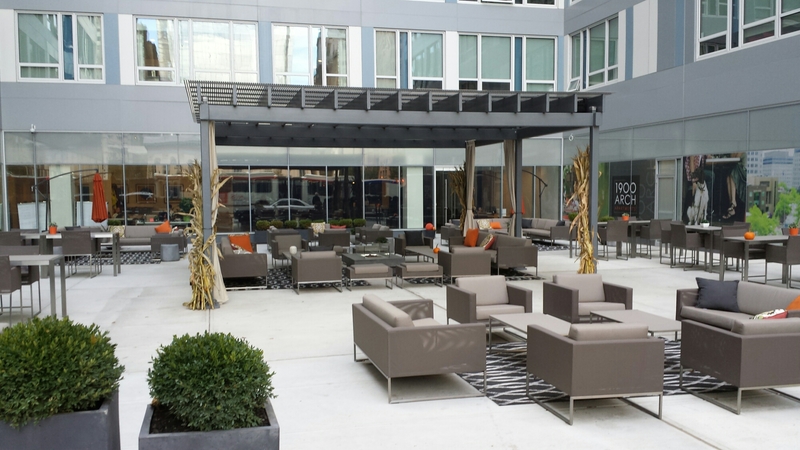 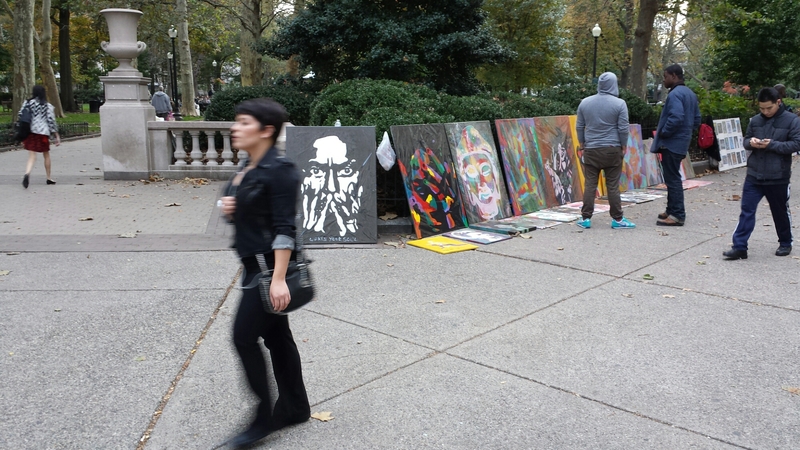 Sidewalk art gets a new definition. 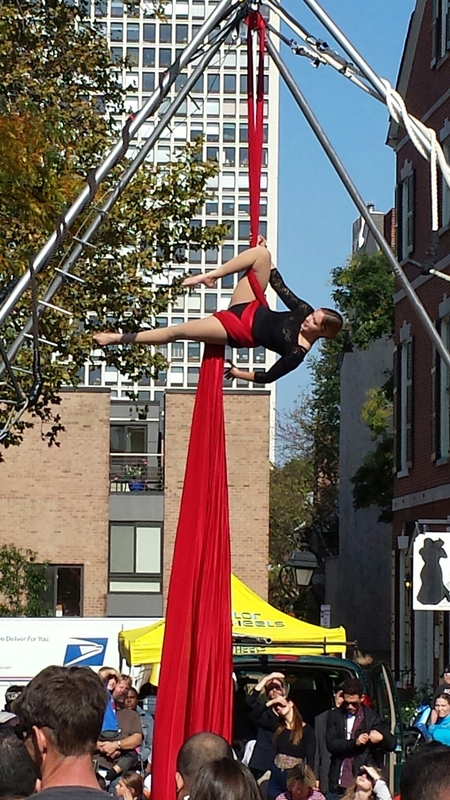 Acrobatics at the Pumpkin Festival on 2nd Street. 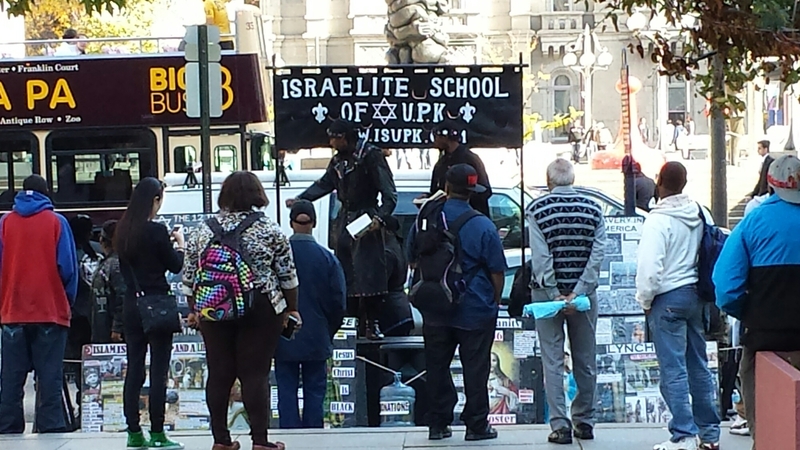 That social message at the Love Park. 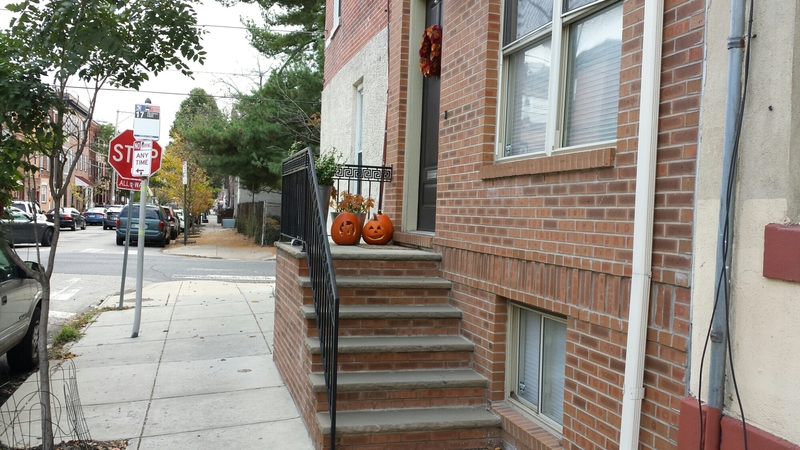 Pumpkins on a stoop on Christian Street. 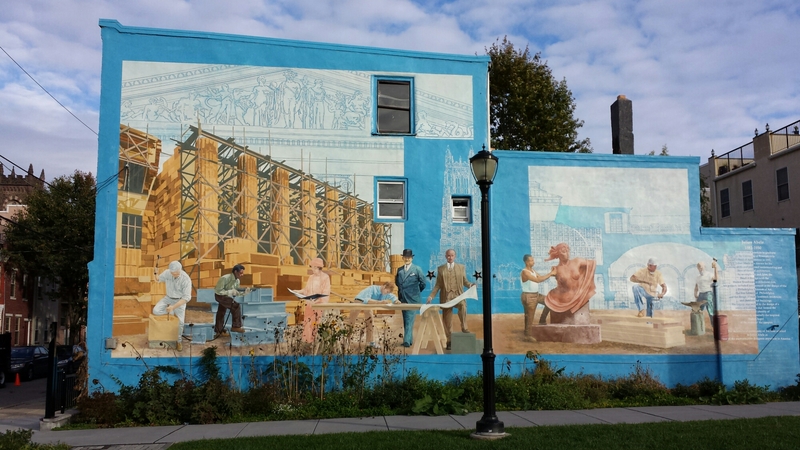 The Julian Abele mural on 22nd Street.